Judging from the number of credit card application kiosks at malls across Malaysia, you would think no credit card application would be denied. Shockingly, there are some who do, and it may well because you did not meet the minimum credit card requirements stipulated by the issuing banks and financial regulatory bodies in Malaysia. 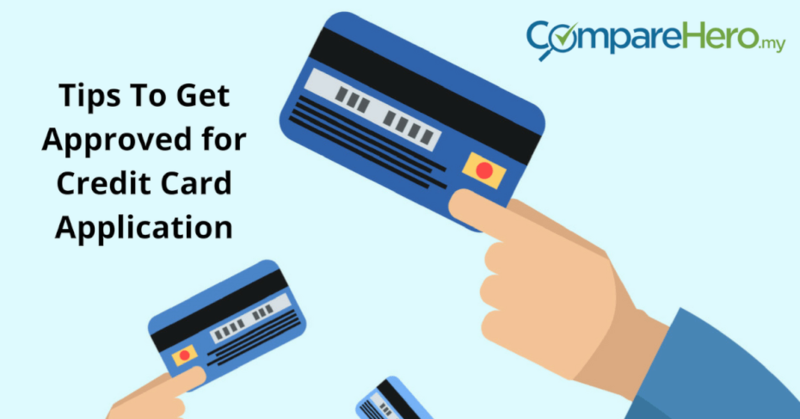 If you’re one of these people, here are 5 tips on how to increase the chances of getting your credit card application approved in Malaysia. When assessing your credit card application, your bank will request a copy of your credit report from a credit bureau. One source of credit reports in Malaysia is the Central Credit Reference Information System (CCRIS), which is managed by the Credit Bureau of the Bank Negara Malaysia. Another source you can check your credit history from is the CTOS, one of the leading credit reporting agencies in Malaysia. It helps to make sure that the information on these reports is accurate by requesting for a copy your own, just to be on the safe side. See also: What Is The Difference Between CCRIS and CTOS? If you find any discrepancy on your credit report, you can contact the Credit Bureau directly to ask for any error to be corrected. Be sure to prepare your supporting documents to prove that you’ve resolved any problem that shows up on your credit report. Since your payment history with companies like utilities and telecoms will also be included in your credit reports, make sure that you’re always on top of your bill payments to avoid any bad reflection on your credit history. You may be attracted to a credit card that offers 50,000 bonus air miles and immediately apply for it, but remember that almost every credit card in the market has a minimum annual income requirement that you have to meet to be qualified for the application. There are premium cards that have all the bells and whistles, but these usually have a higher minimum annual income requirement – not to mention higher fees and charges. Gold cards typically have lower minimum income requirements so you may want to apply for these instead and then apply for a premium card later on, as your income grow larger. Most banks would gladly upgrade your card if you have a proven track record as a good paymaster. Sometimes, your application for a credit card gets denied for the simple reason that you made a mistake in your application form. It seems easy enough but you’d be surprised how many people still make mistakes when filling out their personal information! Review all entries carefully, making double checks on your application form before you submit it to the bank, especially if you apply for a credit card online. Banks may also deny credit card applications if they determine that the applicant hasn’t been working long enough. If you’re fresh out of university and haven’t even begun working yet, your bank might hesitate to make you a primary cardholder. Plus, you may also want to ask yourself if you can actually afford to pay for anything you charge on the card. If you don’t have sufficient employment history but believe that you need a credit card; and if you posses the means to pay for the monthly credit card bill, you may want to ask your parents or older siblings who own a credit card to make you a supplementary cardholder for the present. Banks take a risk when they extend a credit line to an individual, which is why they’re extra careful about issuing credit cards. Your credit history tells them about your financial standing and whether they can trust you enough to extend you a line of credit. When you think about it, this also works in your favour, because you definitely should not get a credit card if you can’t keep up with your regular expenses as it is. Before you apply for a credit card in Malaysia, make sure you’re financially capable and ready so you avoid falling into unnecessary debt.